From 25 to 27 June 2019 the Aladdin Project and the Bertelsmann Stiftung, in cooperation with UNESCO, are organizing a Forum for young Europeans in Berlin, Germany. then, please read on carefully. Social cohesion is an expression of an intact and solidary community. It contributes to making a society worth living in and fit for the future. For us, strong social cohesion consists of stable, trusting and diverse social relationships, a positive emotional bond with the community, the basic order which is accepted as fair, and the willingness of people to actively take responsibility for the community and for the vulnerable, through commitment and solidarity. In diverse societies, this also means that people accept persons with different values and lifestyles as equal. Currently, many European societies face a number of challenges that appear as threats to social cohesion: globalization and digitalization, growing inequality and migration, increasing cultural diversity and plurality of values and lifestyles as well as the rise of populism and the associated crisis of liberal democracy. The diversity of values and lifestyles make the creation of cohesion especially challenging. It requires processes of understanding and negotiation and the willingness to accept differences. Therefore, an essential basis for cohesion is the acceptance of human-rights based, democratic values as a shared normative basis for dealing constructively with diversity. In a nutshell, cohesion does not arise by itself. We must actively shape it and commit ourselves to a peaceful, democratic and solidary living together in diversity. The good news is that we can shape social cohesion and many people are already engaged in this effort in their cities and communities. Against this background we consider it both necessary and promising to engage young committed Europeans in a dialogue on how to actively shape social cohesion in pluralistic societies, and to encourage, empower and connect them in their commitment to build a more cohesive future. This is why we are organizing the Young Europeans’ Forum. Concretely, what is the Forum going to look like? 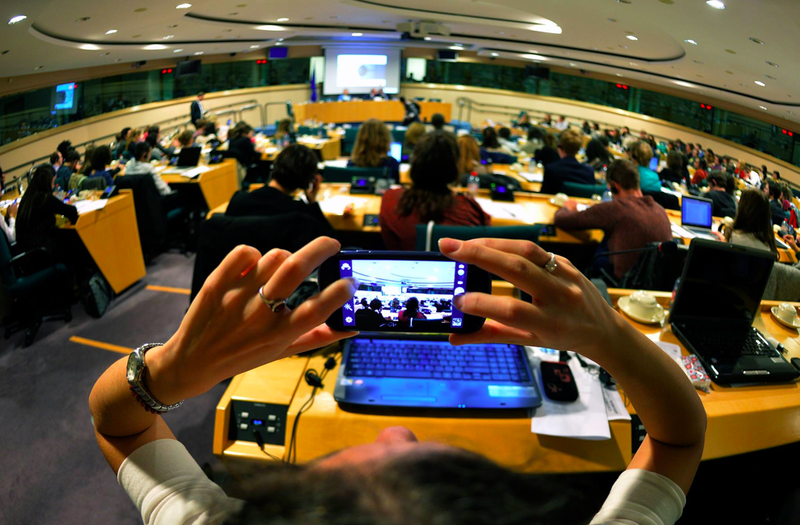 The Young Europeans’ Forum will bring together 100 young engaged Europeans with policymakers, activists and experts. Through this it will seek to set the framework for a broad and continuing dialogue and exchange on how to shape a peaceful, respectful, solidary living together between people with different cultures, beliefs, values and lifestyles, and how to create strong social cohesion in diversity. All participants are committed to social cohesion, peaceful living together in diversity, human rights and democratic values. They are influencers and multipliers, who can make a difference within their societies by shaping a more cohesive future. According to the motto “learn – connect – transfer” the forum will provide a platform where they will share ideas, experiences and good practice, extend their knowledge, learn from and with each other, build a network, work together on solutions and take impulses for their own work and commitment. Which values form a common framework for a peaceful, respectful, solidary living together in open, diverse, rapidly changing societies? Which competencies are needed for dealing with future challenges? What can we do to foster social cohesion in diversity? How can we empower young adults to become leaders who promote social cohesion? How can civic engagement shape social cohesion in pluralistic societies? Travel to/from Berlin, accommodation, meals and social programs will be covered by the organizers. Full time attendance at the Forum by the selected participants is mandatory. Participants should be committed to investing time to prepare for and actively participate in the Forum. The applicant is responsible for arranging, at his/her own expense, life, health and other forms of insurance coverage during the visit. If you wish to participate in the Young Europeans’ Forum, please fill in this application form and send it by e-mail to valerieheim.projetaladin@gmail.com. The Deadline for receiving applications is 23:59 on the 24.03.2019.